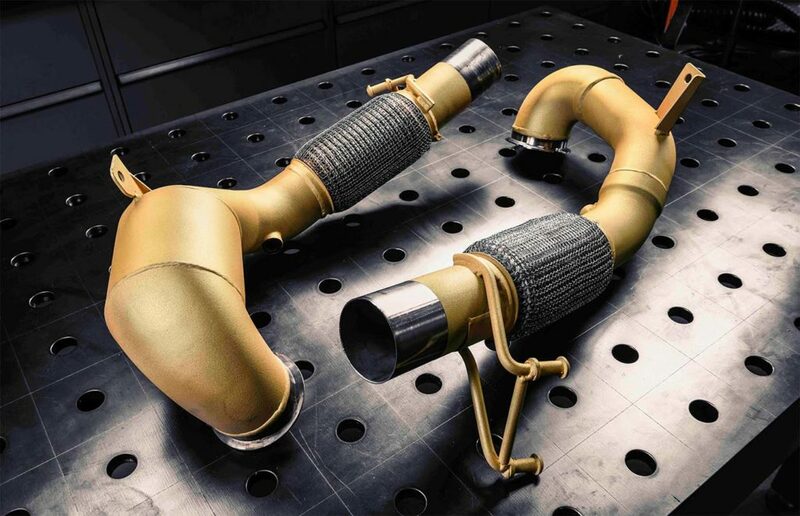 Exhaust manufacturer Milltek Sport has moved the aftermarket forward once again with the launch of its factory-finished ceramic coated downpipes. Partnering with the market leader in thermal management, Zircotec, Milltek’s new product line offers improved engine performance, reliability and efficiency – as well as flawless good looks. For years many leading tuners and race teams have been applying Zircotec’s unique ceramic coating to Milltek’s products, so the move takes things to the next logical progression, offering them ‘out of the box’ for ease of fitting and exceptional value. Zircotec’s coatings have been developed over many years and hard-won race miles. Not only do they help to prevent heat loss from the exhaust itself, but also protect other components in the engine bay from excessive heat. Once the Zircotec is applied, Milltek’s own tests revealed a reduction in surface temperatures of up to 33%, which equated to a reduction of under bonnet temps of up to 50% in some cases! As many sophisticated engine maps and ECUs wind out boost and fuel when they see rising heat, this can actually help to maintain horsepower and torque in heavy-duty situations like racing and track use. As the thermal coating is now part of Milltek’s manufacturing process, the downpipes benefit from exceptional surface preparation prior to application. At a healthy 0.3mm in thickness, the Zircotec coating is made up of proven Zirconia ceramics, using small pockets of air that naturally occur within the application process to actively reduce heat transfer. Able to handle up to 900° C, there won’t be many applications that the new Milltek downpipes won’t be suitable for. Off the shelf, Milltek will be offering ‘Stealth Grey’ which will certainly appeal to the OEM purists. That said, all of Zircotec’s 14 special order colours will be available for those looking to create something totally unique. Perfect for show and racecars! The launch range will include Milltek’s core VAG tuner range and popular favourites like the Honda Civic Type R, rolling out into other new high performance applications as demand dictates. 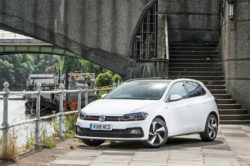 They have developed a range of ultra-high performance plasma-sprayed ceramic coating to protect components from the effects of fire, heat, wear, abrasion and corrosion. 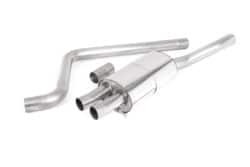 Their ceramic coating is highly effective when used on engine exhaust system components including exhaust manifolds, exhaust headers, cat boxes, turbochargers and tailpipes, helping to protect sensitive components from the effects of heat. As an exhaust coating, they reduce under bonnet temperatures, increase engine performance, help solve engine packaging issues and improve engine compartment safety. Based on our proprietary ThermoHold® formulation, our ceramic coating range can only be applied by Zircotec. A series of patent applications are in progress (with two now granted) to protect our technology. Reduce under bonnet temperatures by up to 50oC (122oF), as independently measured & confirmed by DAMAX Race Engineering. Reduce surface temperatures by 33%. Increase engine performance, eg. a 30oC drop in intake air temperature can deliver a 6% increase in power, or can increase engine efficiency leading to less fuel usage. Extend the life of vulnerable components and thereby enhance engine reliability. 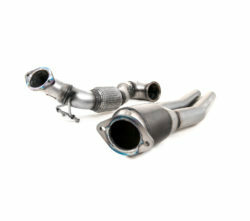 This entry was posted in Blog and tagged Exhaust, Milltek.